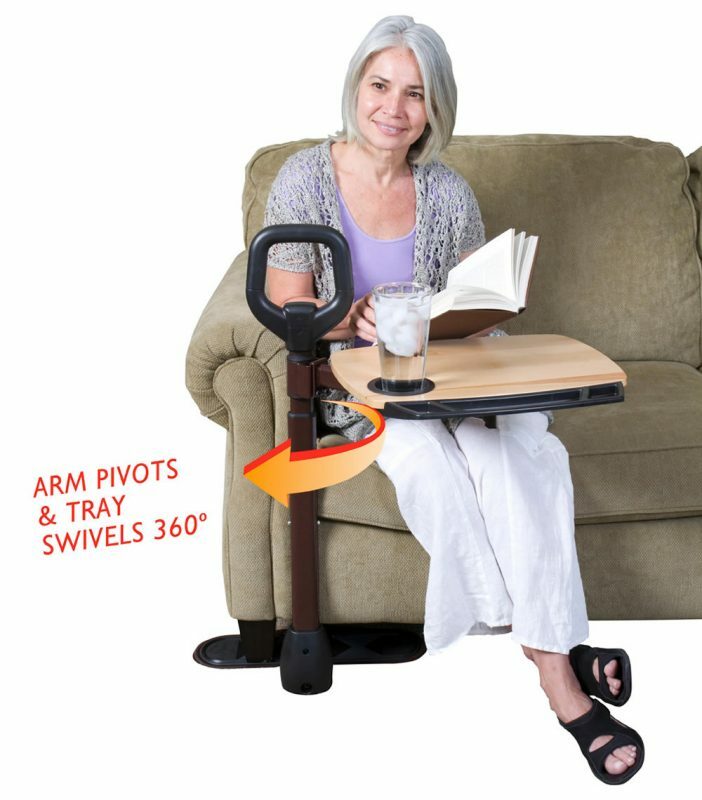 Support Handle – Makes sitting and standing easy. Adaptable – Adjusts in length to fit either side of your couch/chair. 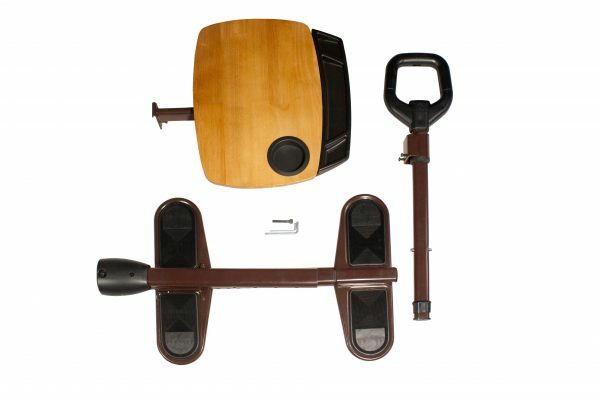 Super-Grip Rubber Pads – Ensures extra stability and protects floors against damage. The Able Tray by Able Life is a couch-side handle that makes it easy to stand from your favorite couch or chair. 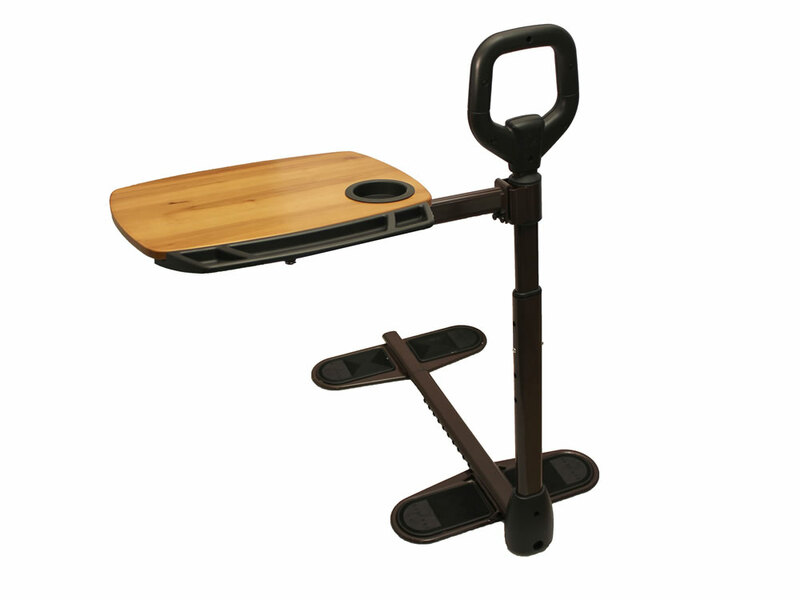 It comes with a convenient multi-use swivel tray so you can eat, surf the web, or simply keep handy items close by. 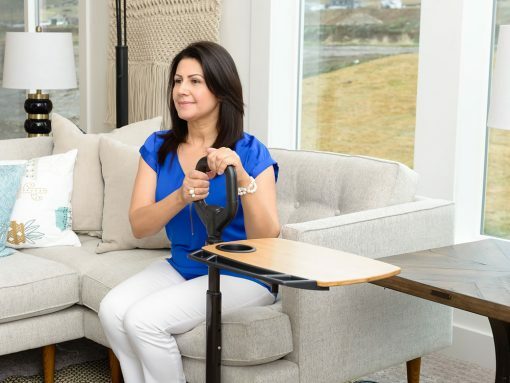 And like all of our products, it blends in with your living room like another piece of furniture so you can maintain the comforting feeling of your home. 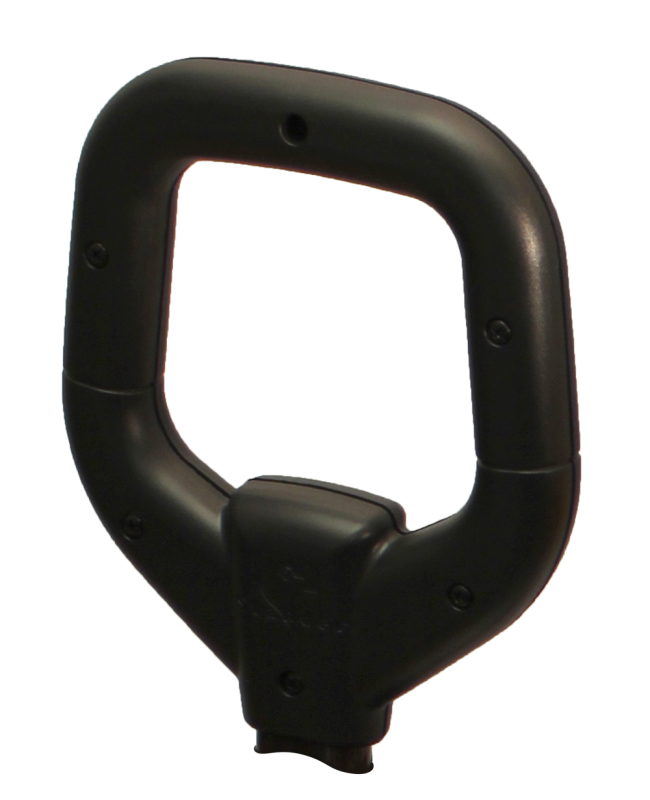 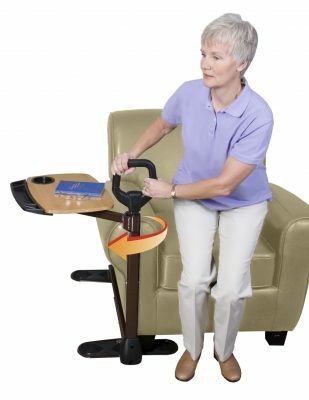 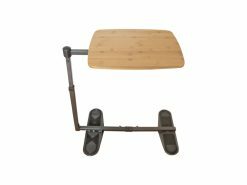 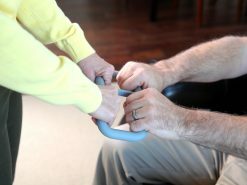 Use the Able Tray’s handle for leverage to get yourself up from your favorite chair or lift chair. 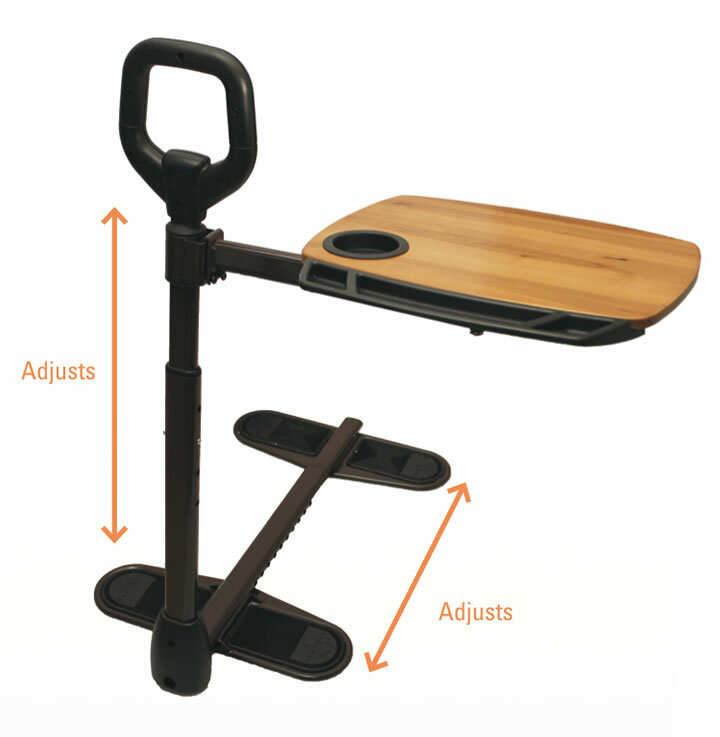 The tray swivels 360° and comes with cup and utensil holder. 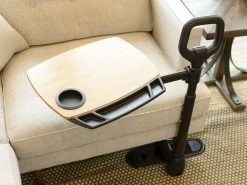 Use the tray to eat in front of the television, craft in your recliner, or read a book on your couch. 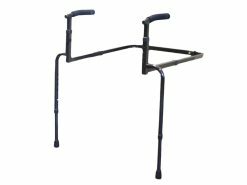 Able Tray is adjustable in both height and length so it is able to fit most chairs, couches, and lift chairs. 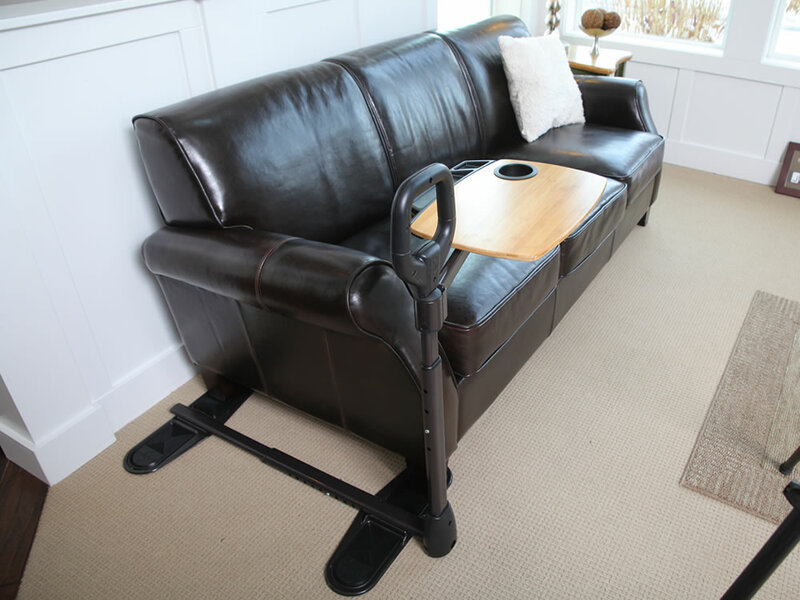 Able Tray extends in height and depth to fit most couches, chairs, or lift chairs..
Can it fit under any couch? 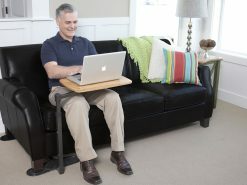 Yes, because the base is adjustable, the Able Tray fits most couches. 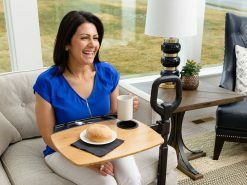 Does it include a Swivel Tray? 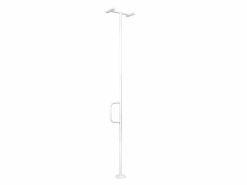 Yes, the swivel-tray swings around 360 degrees, allowing you to keep handy items close by – or out of the way when not in use. 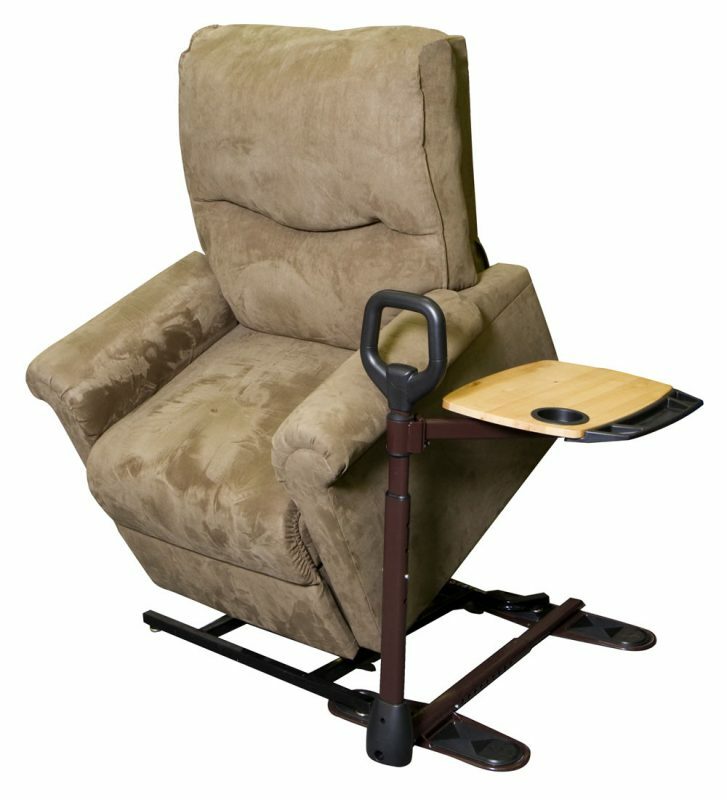 Can it fit my recliner? 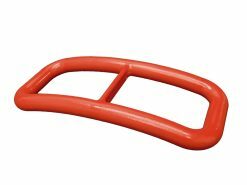 Can it fit on lift-chairs? Yes, adding an Able Tray can give you even more support while getting in-and-out of your chair. 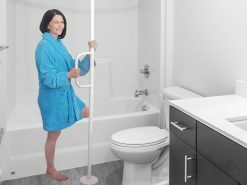 Yes, the handle is fully height adjustable. 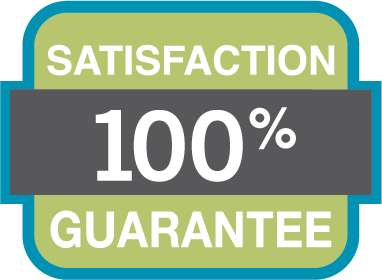 Yes, and no additional tools are required.